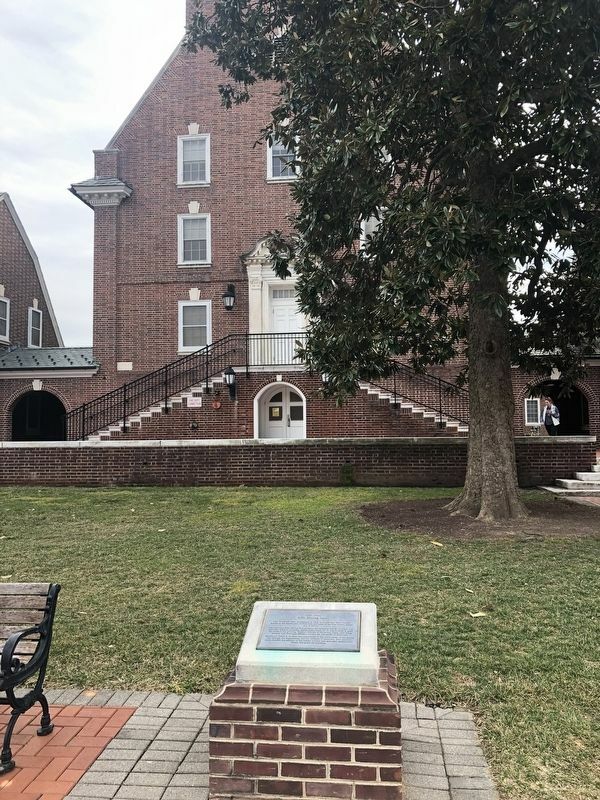 Kent Resident Hall, constructed in 1956, is named after Kent County, located in the central part of Delaware and home of the First State's capital city of Dover. The adjoining Kent Dining Hall predates the residence hall by 31 years. 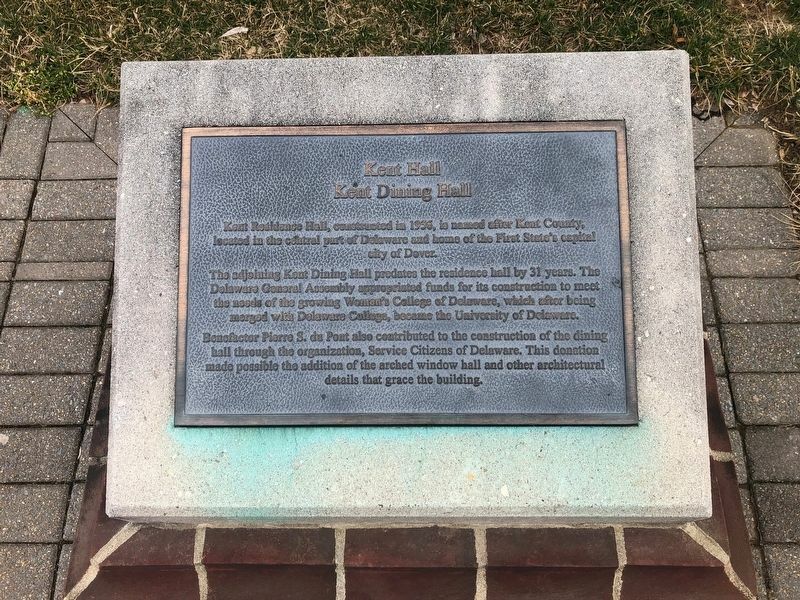 The Delaware General Assembly appropriated funds for its construction to meet the needs of the growing Women's College of Delaware, which after being merged with Delaware College, became the University of Delaware. Benefactor Pierre S. du Pont also contributed to the construction of the dining hall through the organization, Service Citizens of Delaware. This donation made possible the addition of the arched window hall and other architectural details that grace that building. Location. 39° 40.567′ N, 75° 45.101′ W. Marker is in Newark, Delaware, in New Castle County. Marker is on The Green north of East Park Place, on the left when traveling south. Touch for map. Marker is at or near this postal address: 277 The Green, Newark DE 19716, United States of America. Touch for directions. few steps from this marker); New Castle Hall (within shouting distance of this marker); Squire Hall (within shouting distance of this marker); Winifred J. Robinson (1867-1962) (within shouting distance of this marker); Emalea Pusey Warner (1853-1948) (about 300 feet away, measured in a direct line); Laurel Hall (about 300 feet away); Annie Jump Cannon (1863-1941) (about 300 feet away); The Magnolia Circle (about 500 feet away). Touch for a list and map of all markers in Newark. More. Search the internet for Kent Hall. Credits. This page was last revised on March 16, 2019. This page originally submitted on March 16, 2019, by Devry Becker Jones of Washington, District of Columbia. This page has been viewed 36 times since then. Photos: 1, 2. submitted on March 16, 2019, by Devry Becker Jones of Washington, District of Columbia.